According to the EARSC, around 15% of the global population depends on seafood as their only food supply. Ship detection from remote sensing imagery is a valuable tool for maritime security which includes, among other marine traffic surveillance, the protection against illegal fisheries, sea pollution damage control, and oil spill monitoring. Large-scale Illegal fishing happens every day. If current fisheries activities persist, it is estimated that the collapse of fisheries, globally, will take place by the middle of this century. To ensure sustainable development and the safety of people, a control system must be in place. 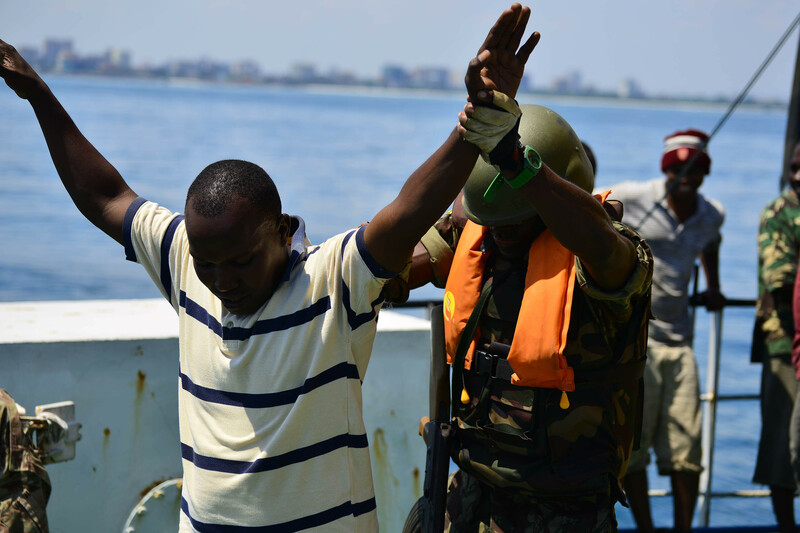 So what does IUU stand for? Well, it stands for Illegal, Unreported, and Unregulated Fishing. Illegal Fishing takes place when vessels operate in violation of the laws of a fishery. Unreported Fishing is fishing that has been unreported or falsely reported to the relevant authorities. Unregulated Fishing generally refers to fishing by vessels without nationality or vessels that are from another country which is not the party to the Regional Fisheries Management Organization (RFMO) governing that particular fishing area or species on the high seas. According to the WWF- Pakistan, Every year the country loses at least $50 Million a year to tuna fish smuggling. IUU Fishing accounts for up to 31% of global fish catch and is valued at around $10 to $23bn annually. 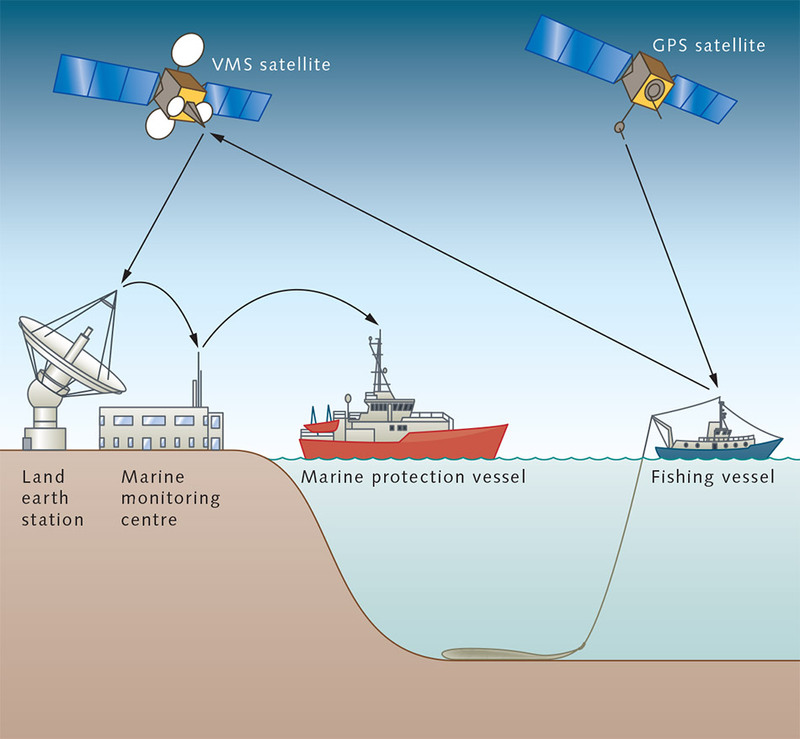 By definition, the Vessel Monitoring System (VMS) is a programme of fisheries monitoring in which VMS units are installed in fishing vessels. These units provide real-time information about the vessels activity and position. VMS, however, have their technical limitations. Vessels without VMS and with faulty units of this system are not monitored. Many ships, such as small passenger boats and fishery vessels, are not equipped with these systems. In such cases, it is relatively easy for fishers to conduct illegal fishing through these vessels as these do not have to apply with the existing derivatives. With the integration of GIS and remote sensing (RS) capabilities, an end-to-end solution can be created to suit the requirements of various interests. Click here to witness the first ever public release of Vessel Monitoring System data. Satellite Images are used for a variety of reasons, ranging from commercial to government imaging purposes. For the fishing industry, these satellites can help to detect vessels either optically or through satellite aperture radar (SAR). These techniques can potentially detect all fishing vessels regardless of the presence of a VMS unit installed. However, it is important to note the distinction between detection and identification of these vessels. Current Satellite Imagery does not allow the identification of these vessels and thus has to be integrated with other features/solutions to provide the end-to-end solution. And it comes at a higher cost! If you’re interested in a more technical read up and want to read a more elaborate article on the subject, please click here. Well, the most obvious SAR advantage is the independence from weather and daylight, which ensures a guaranteed acquisition of the desired area of interest (AOI). SAR is an active remote sensing system – which means it provides its own energy source to illuminate the AOI and thus, make the imaging area visible. SAR, however, has its limitations too. One such limitation is the azimuth ambiguity. The azimuth ambiguity may lead to ghost vessel detection. In Synthetic Aperture Radar, azimuth ambiguities are caused by the aliasing of the Doppler phase history of each target, that is sampled according to the sensor azimuth sampling frequency, FSA, which equals the Pulse Repetition Frequency (PRF)¹. The following is a link to an in-depth study on the ‘Adaptive Removal of Azimuth Ambiguities in SAR Images’. For more information on how – SAR/Optical Imagery can benefit your interests, please revert to us and we would be glad to consult you. The combined use of satellite imagery and VMS would prove more useful than just the use of VMS alone. The VMS could focus on participating vessels, while satellite imagery could help in the detection of the unidentified vessels. The most effective method would be the use of synthetic aperture radar (SAR) for detection, optical imagery for high-resolution recognition and the correlation of data with VMS. Many rogue fishers turn off their radios before they enter restricted areas and this can be captured through satellite imagery, through daily monitoring. If you’re keen to understand more about daily monitoring and its various use cases in a multitude of industries, please click here. Many countries have developed strategies to fight illegal fishing activities. They are internationally cooperating through various programs such as the International Plan of Action to prevent, deter and eliminate IUU Fishing (IPOA-IUU). This plan has been developed within the framework of the Code of Conduct for Responsible Fisheries by the Food and Agriculture Organisation of the United Nations (FAO). If you’re curious and want to get a thorough understanding of this policy, please click here. The EU has formulated its own set of policies, such as the Common Fisheries Policy (CFP). The policy was first introduced in 1970 and has been put through a series of updates over the years. If you’re keen to gain a deeper understanding of EU’s policy, please click here. Modern remote sensing techniques for fisheries control, may not be at the stage to completely replace traditional marine surveillance systems, such as inspections at the shore or onboard vessels, but they can be helpful in drastically reducing the costs for these activities. 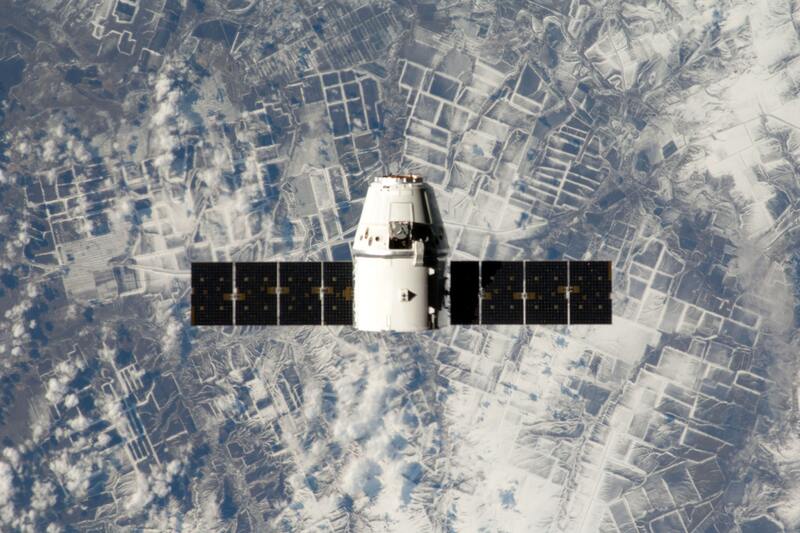 Thanks to satellites, it is now possible to monitor huge areas and efficiently detect abnormal activities that may require immediate inspection. For those interested in the applications of remote sensing in various other marine-related fields, please click here. ¹ F. K. Li and W. T. K. Johnson, “Ambiguities in spaceborne synthetic aperture radar systems,” IEEE Transactions on Aerospace and Electronic Systems, vol. 19, no. 3, pp. 389–397, May 1983.